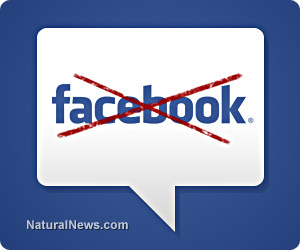 (NaturalNews) Due to Facebook's outrageous campaign of censorship against anyone attempting to post comments or photos about autism, GMOs, vaccines or the Second Amendment, Natural News has made an executive decision to ditch Facebook for its comment system. Effective immediately, we are dropping the Facebook comment section from all our articles and replacing it with the Disqus comment engine. Disqus is the most widely-used commenting and social networking engine on the 'net, and it allows users to sign it with their accounts from Google, Twitter, Facebook or Disqus. "We can't in good conscience keep sending traffic to Facebook when they are engaged in such widespread censorship of free speech," said Natural News editor Mike Adams. "Facebook has become an online form of tyranny, intimidation and oppression. It's time we sought alternatives that respect free speech and don't censor moms who post pictures of their children holding GMO rally signs." The only downside to the switchover is that all previous comments posted under the Facebook engine will disappear from articles. Switching over to Disqus starts over with a "blank slate" on the comments for each article. The upside is that users who verify their emails are able to post comments immediately, without moderation. To prevent spam and trolls, however, comments posted by users who do not verify their email addresses are held for moderation, then approved or rejected by Natural News staffers. Readers can also flag other people's comments as "abusive" or "spam," flagging them for moderation review by Natural News. So this allows us to prevent Monsanto trolls and vaccine zealots from polluting our articles with their lies and propaganda.